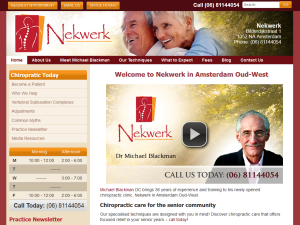 Check out a sampling of our most recently launched chiropractic websites below. 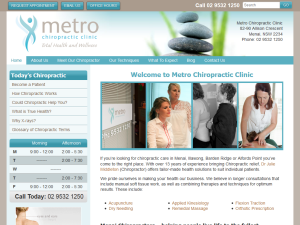 Macquarie University graduate provides chiropractic care to the greater Menai community since 2001. Palmer College of Chiropractic graduate serving the Bilderdijkstraat in Amsterdam with Motion Palpation, Thompson, Applied Kinesiology, Arthrostim, Vibracussor, Auriculotherapy, Laser, Ultrasound with Tens, Diathermy, Pulsed Electro-Magnetic Field Therapy (PEMF) and Asyra techniques.